Have you noticed the crop of things from the past coming back? It&apos;s like #TBT all day long! Old TV series such as Mystery Science Theater 3000 and Full House have gotten new episodes on Netflix. Remakes are all over the multiplex: a live-action Beauty and the Beast came out earlier this year and there are others coming, including a remake of Stephen King’s It, among others. Yes, everything old is new again. With the trend of people pining for nostalgia, it’s no surprise that even old ways of delivering music are making a comeback. 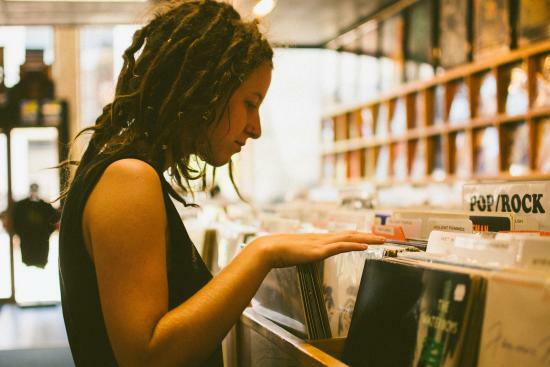 While you’re not likely to see people clamoring for 8-tracks, vinyl has become all the rage. If you want to get on the vinyl retro train here in Eau Claire, you’re in luck! We have one of the best record stores around, Revival Records. Conveniently located at 128 S. Barstow St. in the heart of Downtown Eau Claire, walking into the store is like walking into a time machine of great music. One of the many great things about Revival Records is the variety of offerings. While their largest collection is of pop and rock music, they have a little something for everyone. They have everything from Glenn Miller to Pink Floyd and everything in-between. They even have comedy albums from legends like George Carlin. In addition, the store also stocks vinyl coming out today. Want the soundtrack from Guardians of the Galaxy but think an MP3 isn’t the right way to experience all that classic music from the likes of the Jackson 5 and Marvin Gaye? You’ve come to the right place. And Revival Records isn’t just for buying vinyl. You can also trade and sell old vinyl as well as CDs. Remember CDs? We used to play music on them. People today probably use them for coasters. 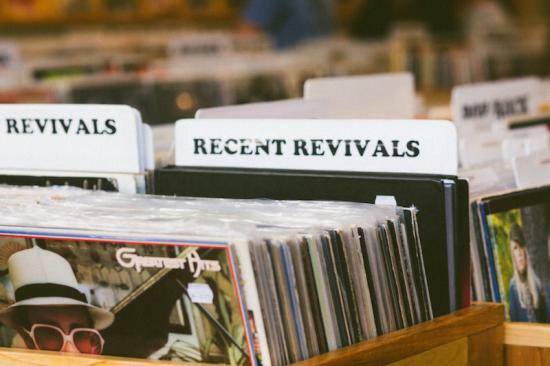 In addition to that, you can also go to Revival Records to buy turntables, speakers, cleaning supplies, as well as frames and displays for your favorite albums. You can get everything you need in one place. One word of warning, when you visit Revival Records, at first it can be a little overwhelming. All the crates of music are daunting to go through. But don’t worry! The store has a very relaxed, friendly atmosphere. Sometimes they even have live music. And the staff is very friendly. Revival Records is a great place to stroll down musical memory lane and support an Eau Claire small business at the same time.